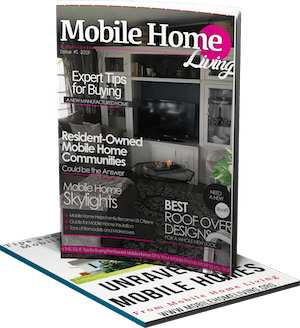 Your manufactured home is your pride and joy and you can’t wait to fill it with all of the amazing decorating ideas that are rolling around in your mind. You have limited space, though, and you don’t want clutter. There are many ways that you can decorate for efficiency as well as style, incorporating the ideas that you love without sacrificing one square inch of space for something unnecessary. Painting the walls is how almost every manufactured home decor project begins. Okay, maybe eggshell white is not the most appealing option to you, but there are other bright colors that you can choose for your new abode, that will reflect light and make your space feel open and airy. Try using different shades in different areas to create the illusion of new rooms where there are no walls. Wall space may be limited but windows provide more than sunlight and a view. They bring in air and sun as well, which are essential for growing plants. Plant a small herb garden in a window box and hang it inside the house, near the kitchen. When you need herbs and spices for cooking, you can pick them right from your garden without having to go outside. Pictures in frames and works of art may seem like a waste of space, even if you love seeing them on your walls. This does not have to be the case. Hang pictures or artwork on cabinet doors. Your cabinets will be cleverly concealed and you can have the pictures that you love. If you’re handy with a paintbrush and you don’t want to conceal your cabinets, you can paint murals directly on the doors. 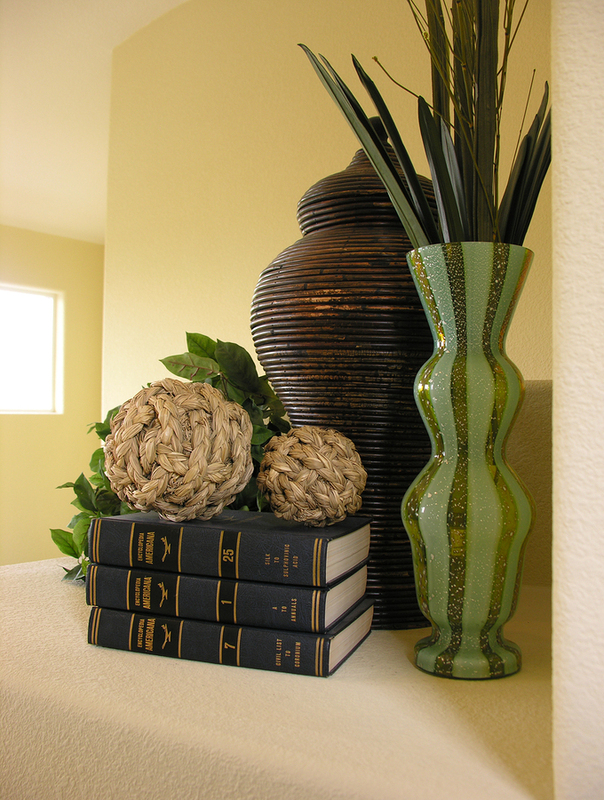 A manufactured home décor project provides a lot of opportunities for original design. Your space can be catered to work specifically for you. Find someone who can make you custom furniture or make it on your own, if you can. Imagine a bed that floats up into the ceiling on a track in the morning and a table that folds out of the wall behind the bed. Maybe a kitchen table with leaves, that will turn it into your ideal laptop computer workstation. The possibilities are endless. The sky is the limit….or maybe the ceiling. Stack appliances in cubbyholes that stabilize them. Stack entertainment center components recessed into a wall. Your vertical space is available, so don’t forget about it! If you ever really feel like you’re getting a bit cramped or you have friends over and you just all can’t fit, utilize your yard if you have one. Manufactured home décor doesn’t end inside. If you have a yard, you have room to spare. Make this space your sanctuary. Plant a garden or add some custom furniture that matches the inside. All in all, the most important part of a manufactured home decor is to make it yours and have fun with it. 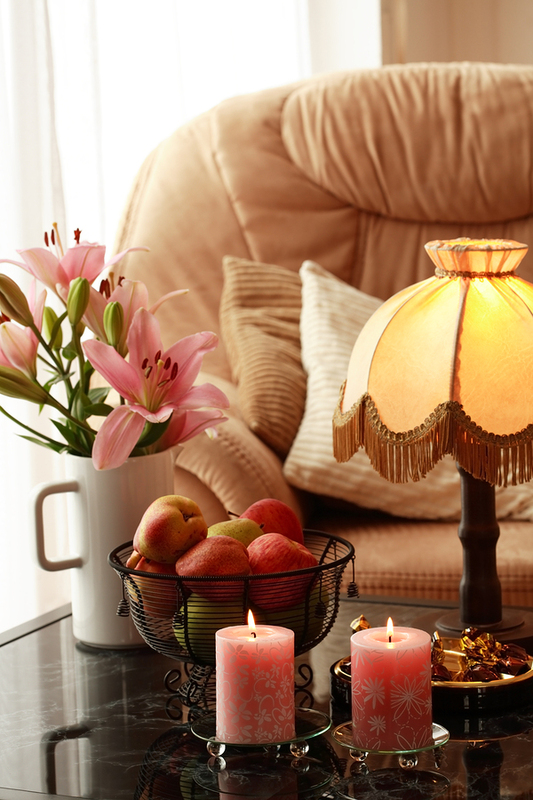 Enjoy decorating your manufactured home, or redecorating if that’s what the case is. When your project is finished, it should feel like home to you no matter what part of the space you occupy. It’s yours and it should feel that way to everyone who comes inside. Can I paint cabinets in a manufactured home. Almost 6 years ago we moved into our 86 fleetwood. I love it. I didn’t at first, I was a house snob. Then I found your site and I really enjoy it. My husband and his friend made repairs and improvements. My husband died in March 2015 from brain cancer. Our home was paid for in January. My husband provided this beautiful home for our children and me. I need to keep up with repairs and improvements. Your articles keep me informed. So sorry for your loss. Your husband was a smart man to make sure his family was taken care of, what an honorable thing to do. If you have any questions about anything at all please don’t hesitate – we’ll help all we can! We are just starting a renovation on my mother’s mobile home, she passed away but I’m trying to update the home. Kitchen, bedroom / bath and guest bath. I did see one of your ideas that I liked for the outside, totally was what I was envisioning. Would love to see more of your ideas.